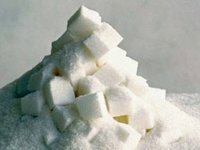 The Antimonopoly Committee of Ukraine is polling sugar market players on the concentration in the market related to the acquisition of new equipment for refining sugar beets by Radekhiv Sugar LLC (Lviv region). The poll has been posted on the committee's website. The committee permanently supervises concentrations by economic entities to prevent monopolization of commodity markets. At the end of September 2017, the committee started considering cases on concentration in the form of the acquisition of new equipment for refining sugar beets by Radekhiv Sugar LLC. "The concentrations would allow Radekhiv Sugar LLC to refine sugar beets and produce sugar at Khorostkiv, Zbarazh and Kozova refineries in Ternopil region. As reported, Germany's Pfeifer & Langen early 2017 finalized a deal on the acquisition of six sugar refineries in Ternopil region - Borschiv, Buchach, Zbarazh, Kozova, Lanivtsi and Khorostkiv sugar refineries, previously owned by T-Tsukor holding. T-Tsukor was controlled by the Huta family before Mriya Holding became bankrupt. Pfeifer & Langen is the largest European producer of sugar. The company, in particular, owns sugar refineries in Germany, Poland, Romania, Italy, Hungary, Slovenia, the Czech Republic, and Ukraine. In Ukraine, it owns Radekhiv sugar refinery (Lviv region) and Chortkiv sugar refinery (Ternopil region).